An F-15E Strike Eagle fires flares over the Grand Bay Bombing and Gunnery Range at Moody Air Force Base, Ga., May 20, 2016. 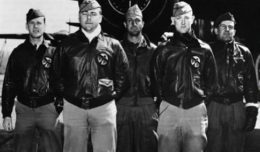 During the training, Air Combat Command aircraft conducted tactical air and ground maneuvers, as well as weapons training. 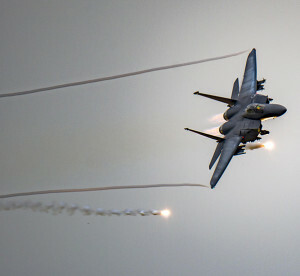 An F-15E Strike Eagle fires flares over Grand Bay Bombing and Gunnery Range at Moody Air Force Base, Ga., May 20, 2016. Airmen simulated different combat and rescue situations to synchronize efforts between a variety of Air Combat Command airframes. 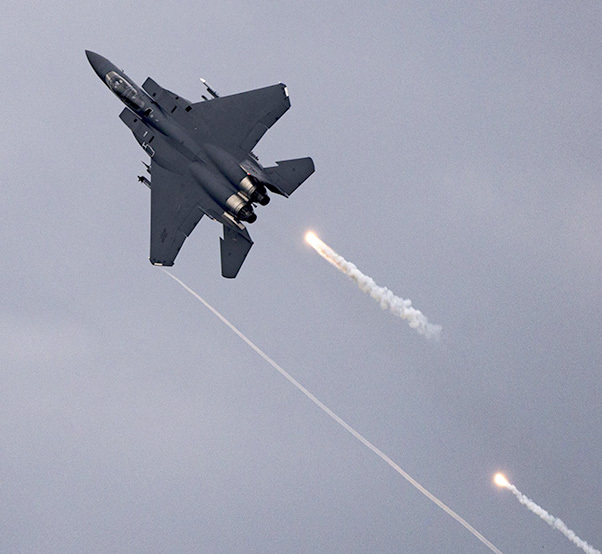 An F-15E Strike Eagle soars above Grand Bay Bombing and Gunnery Range at Moody Air Force Base, Ga., May 20, 2016. 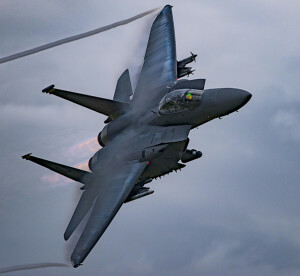 Multiple Air Combat Command aircraft conducted joint aerial training, showcasing the aircraft’s tactical air and ground maneuvers, as well as their weapons capabilities.